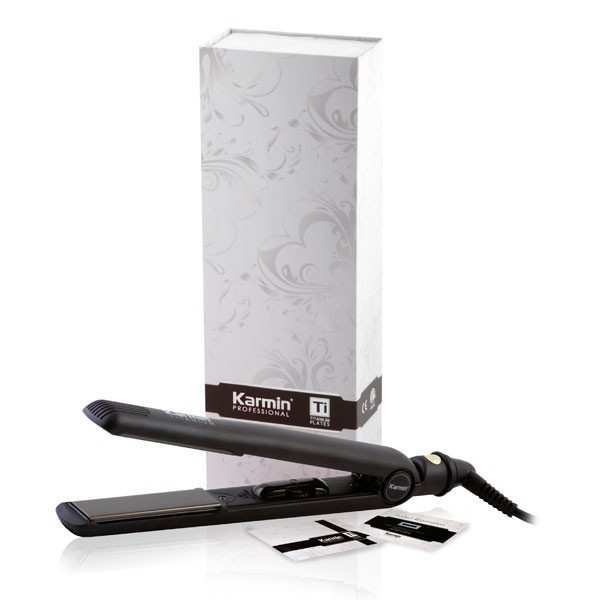 Introducing an amazing breakthrough in technology; The Karmin Professional Titanium Flat Iron. 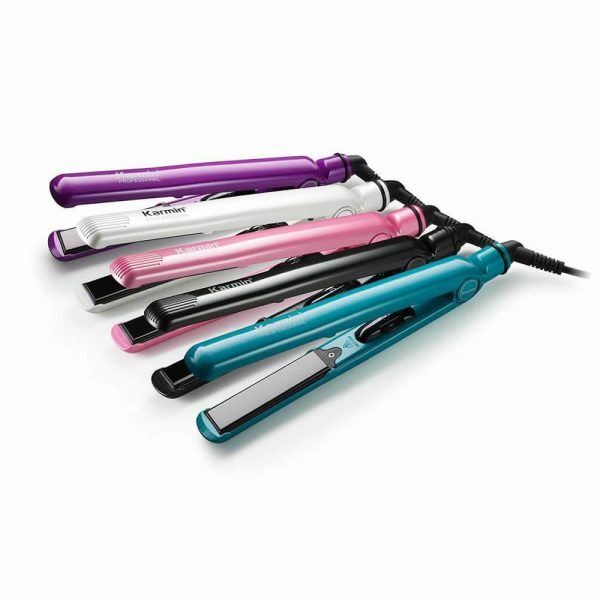 This straightening iron takes the amazing benefits of ceramic heat and ionic technology, and combines them with Titanium. Unparalleled Infrared heat for deep, long lasting straightness. Micro Chip Temperature Control Infrared Heat, Flash Quick Heating. Variable temperature settings for all hair types. From 80°C (176°F) to 240°C (460°F). Tangle-free 3 meter, 360 degree swivel cord. Titanium is a lustrous metallic element found in igneous rocks and known for its strength, durability, light weight and high temperature stability. 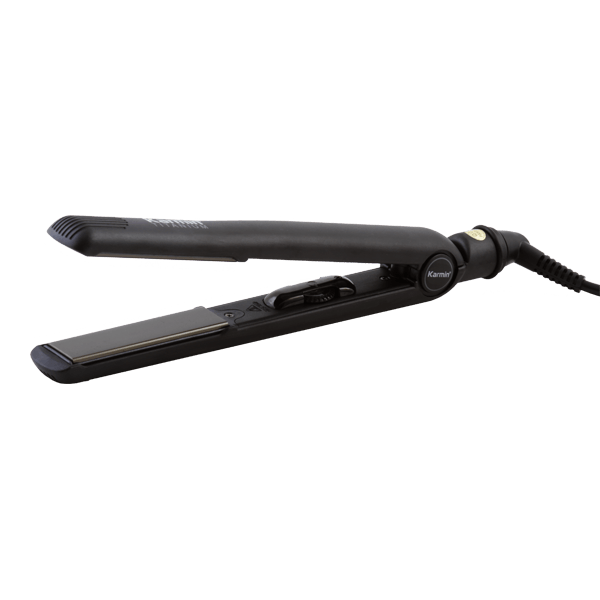 Why a Titanium Hair Straightener? Titanium offers many features and benefits in a hair styling tool. Titanium provides amazing durability under high heats and offers an even heat distribution. 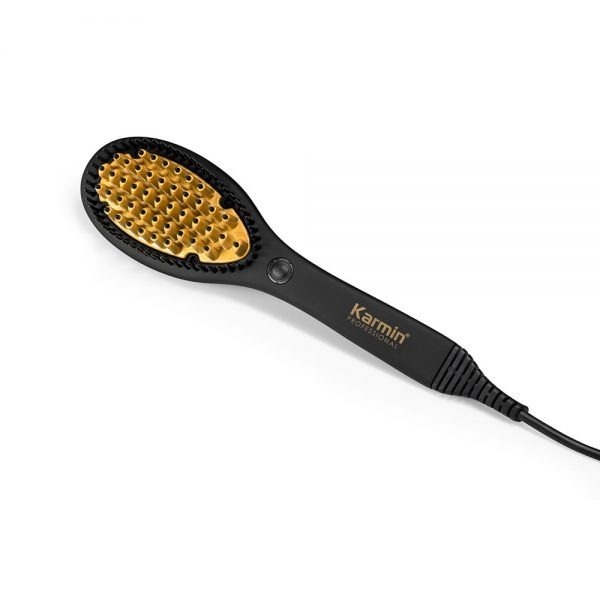 Scratch resistant and extremely durable, Titanium is a great benefit for a hair iron that will last you many years. When combined with ceramic and negative ions, Titanium works to enhance your hair’s hydration and shine. Eliminate frizz, enhance shine, and improve the overall look of your hair. Your hair is left hydrated, soft and healthier. A top choice for professionals because of the amazing results on all hair types, lengths and styles. NO! 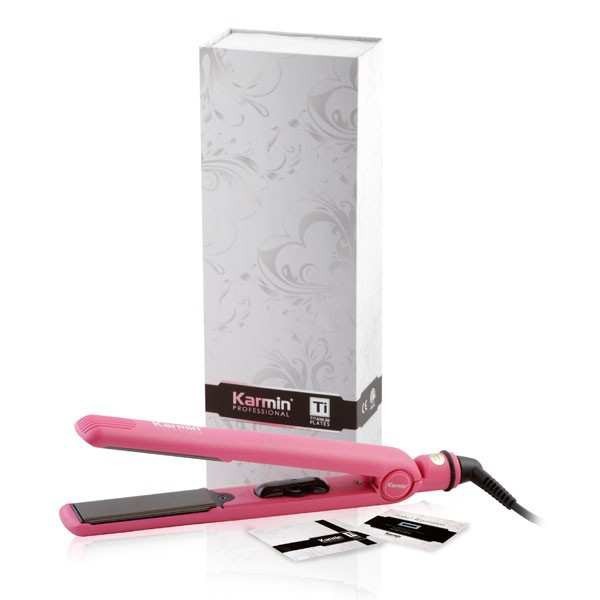 Traditional ceramic irons rely on heat alone which risks damage to the hair. Karmin relies on ionic and infrared heat, which provides a better, healthier method. More fabulous results – now without the risk of damage! 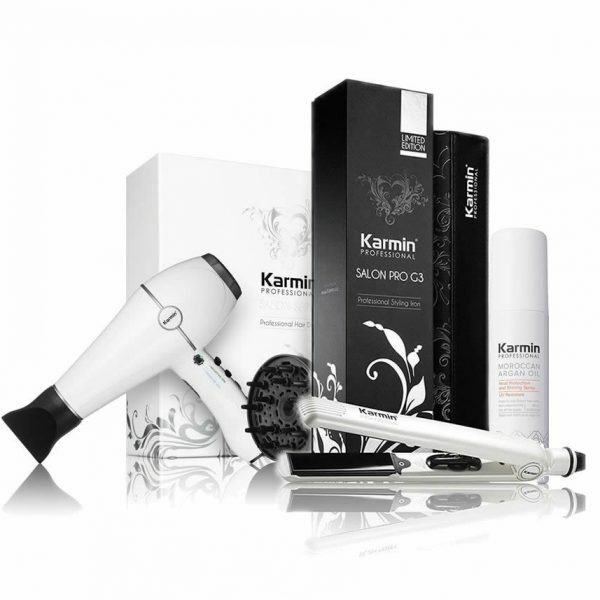 Karmin high performance irons provide shinier, silkier, smoother and healthier hair than other ceramic irons. 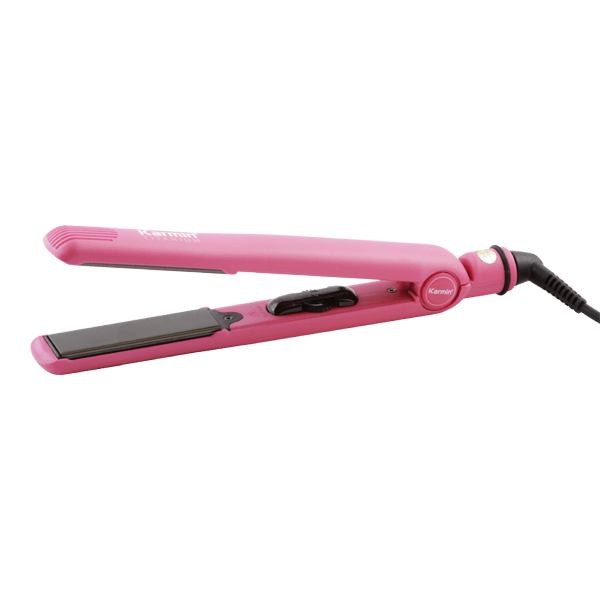 So Why are Negative Ions Important When Using a Hair Iron? Negative ions close the cuticle layer to create a smooth, silky hair surface and seal in the hair’s natural moisture. This provides ultimate shine, color and moisture protection for hair. 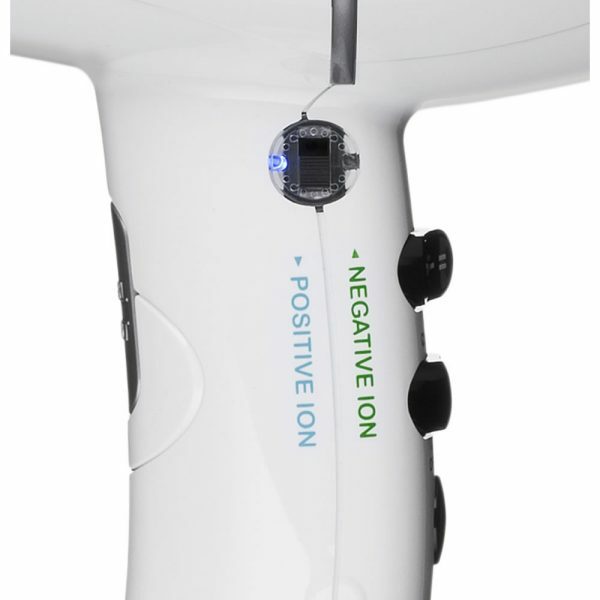 Negative ions also eliminate static electricity on the hair surface so hair is left silky and frizz-free! Why is Infrared Important When Using Flat Irons? Far infrared heat penetrates the hair to heat it gently from within. This creates a different type of heat that doesn’t heat the hair. Instead, more heat is delivered directly to the hair shaft so hair is suppler and can be worked more quickly and easily. Because less heat is delivered to the surface, hair is not damaged. How Does this Compare to Other Irons? The benefit of negative ions and far infrared is that we’re not using high heat alone, so there is less risk of damaging the delicate, yet critical cuticle layer. 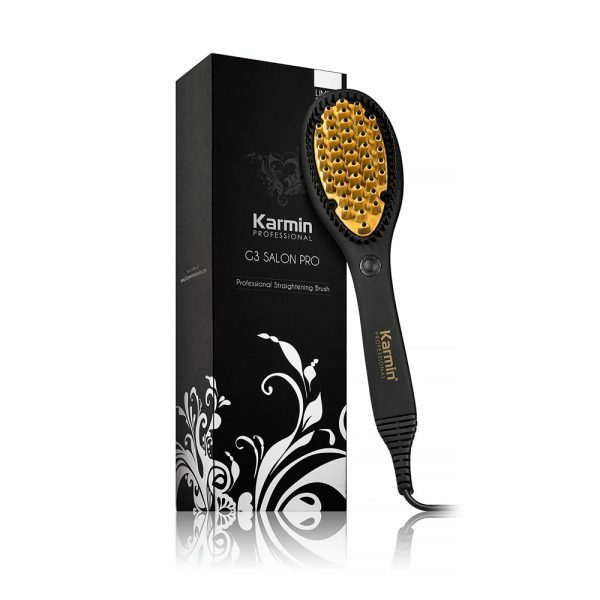 Titanium’s enormous amount of negative ions creates more shine, silkiness and smoothness than traditional ceramic iron. 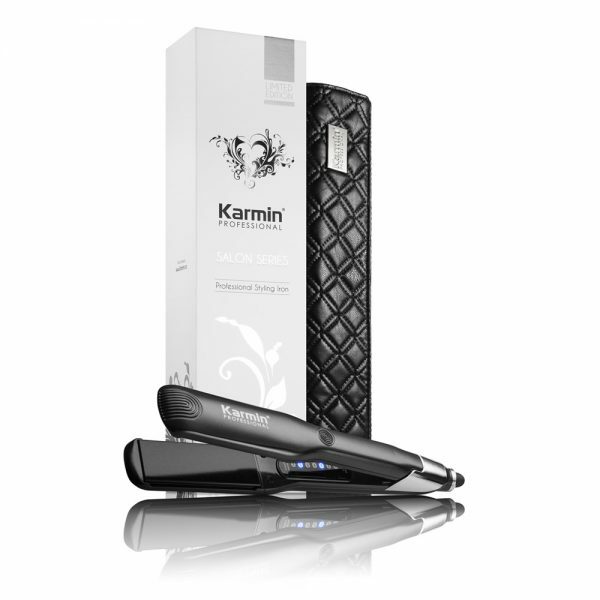 Karmin hair straighteners are micro-chip controlled to provide a constant and even heat. 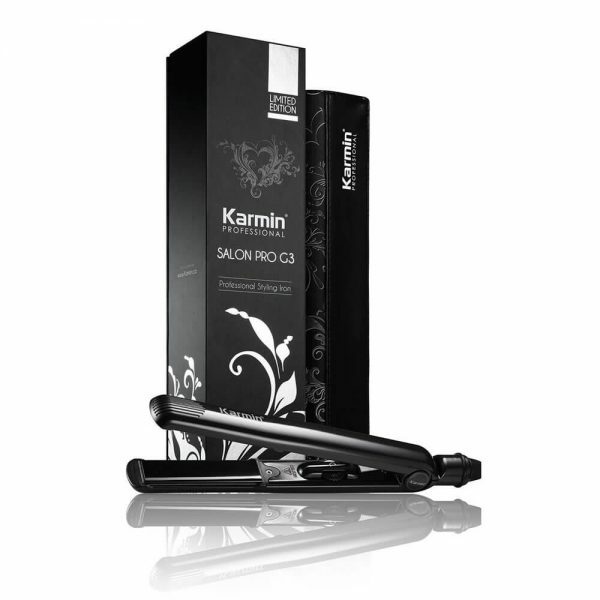 Karmin hair straighteners heat up in less than 30 seconds and whilst most other straighteners are simply ceramic coated, Karmin boasts 100% pure Titanium plates that actually protect the hair. Our Karmin straighteners are THE professionals’ choice and incorporate the latest infrared and negative ion technology to ensure the hair’s natural oils are locked in, creating beautiful shine and straightness that lasts.